211 Bernard: TONIGHT! 7pm...Sophie Cossette launches her graphic novel SINEMANIA! TONIGHT! 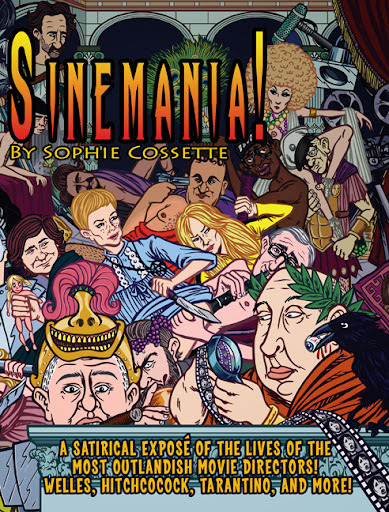 7pm...Sophie Cossette launches her graphic novel SINEMANIA! Join Sophie Cossette at the store Tonight, Friday, October 4 at 7 p.m. as she discusses her brand new graphic novel, Sinemania! A Satirical Exposé of the Lives of the Most Outlandish Movie Directors: Welles, Hitchcock, Tarantino, and More! Sophie Cossette is originally from Montreal, Quebec, and currently lives in Toronto, Ontario. 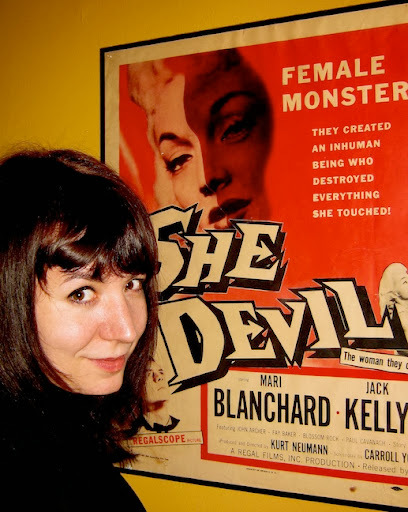 Having drawn since childhood, she began seriously cartooning in the early ’90s, specializing in x-rated comics, and contributed material to local, American, and British publications. She was nominated for the Doug Wright Award for Best Emerging Talent for illustrating Mendacity (written by Tamara Faith Berger, Kiss Machine, 2006). Friday, October 4 at 7 pm! 211 Bernard Ouest!